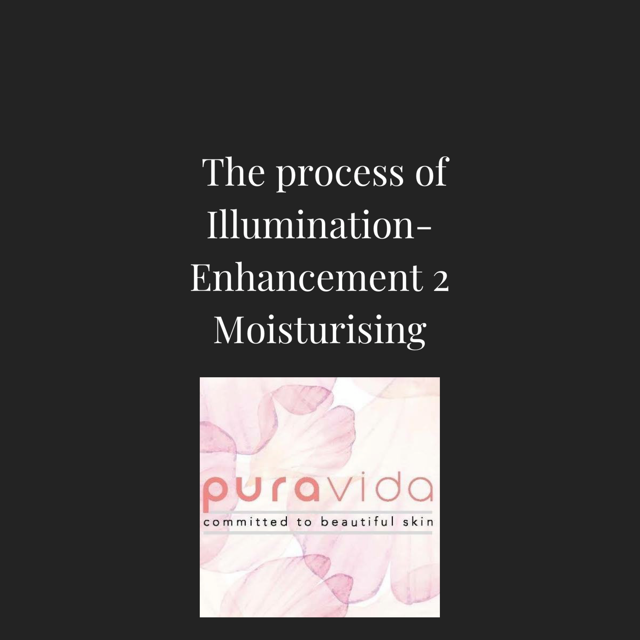 The first part of our process of illumination was all about getting cleansing down to a fine art, creating a great base for your skin to be clear and ready to take on all the goodness you can give it – and the most integral goody that should always be on hand (and face) is moisturiser. 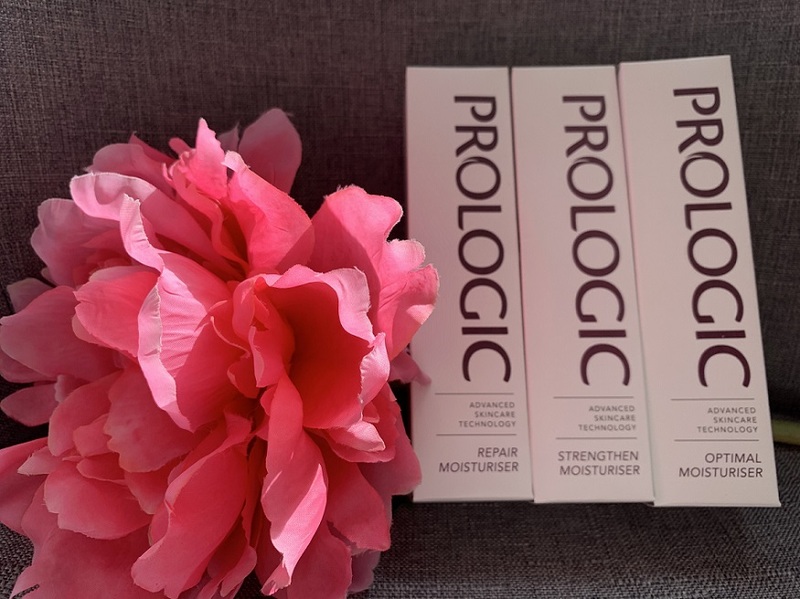 A decent moisturiser that really means business will do several things: treat skin concerns, keep the skin in great condition, and most importantly, hydrate and protect the skin. All skin, no matter the type. I cannot express enough, despite the myth; oily skin is just as in need of moisturiser as dry skin. A well-selected moisturiser will actually help to control the oil flow, mattify the skin and help with texture. Moisturisers come in a range of mediums including cream, fluid and gel, and while the type you choose can simply come down to personal preference, it’s also worth assessing how your skin reacts to changing weather conditions throughout the year to determine whether variations are required at different times, rather than using the same moisturiser every day. The ranges that Puravida stock come in one form and focus on optimal skin health in both our ranges,. Prologic and Environ have a step up system created to help skin become more comfortable with increased levels of vitamin A and other ingredients from one level to the next so that skin can be reborn and look healthy and beautiful for a lifetime. Our skin needs to become accustomed to extra vitamins being applied to it, particularly vitamin A which is vital for its health, radiance and youthfulness. Skin fundamentally needs what it needs to be healthy. There are no “if, buts or maybe’s” about that. 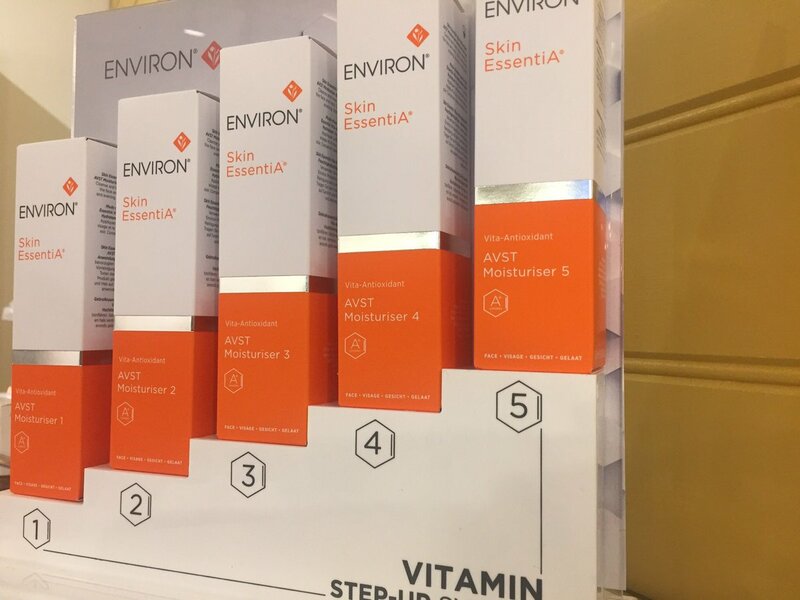 of moisturisers in the Essential Skin Care segment contain a series of products with increasing amounts of vitamin A as well as other vitamins and antioxidants. to moisturising for Acne/ blemish prone skin, this is the only skin type we change the way we approach skin as the skin needs are targeted in a different way. 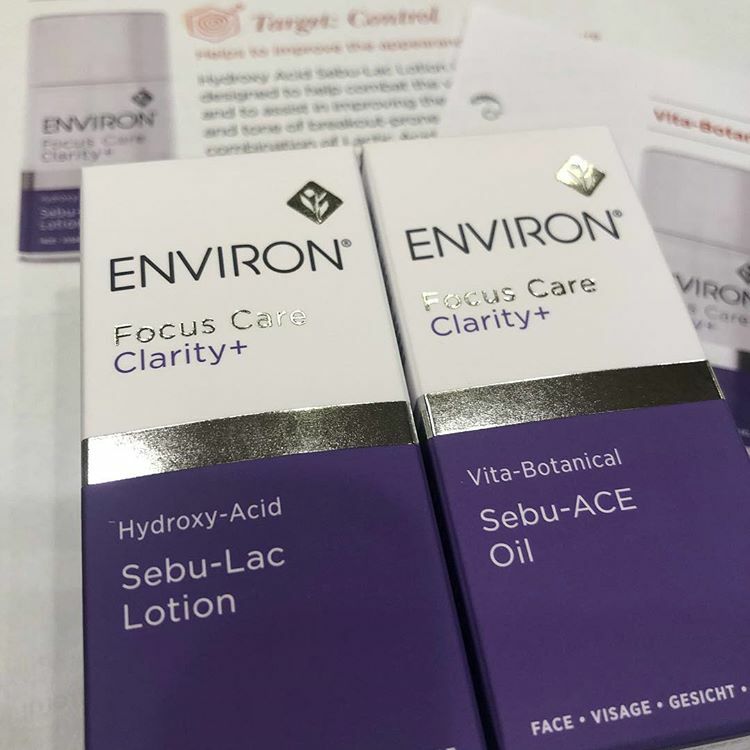 The client will use equal parts of, Focus Care™ Clarity+ Vita-Botanical Sebu- ACE Oil. 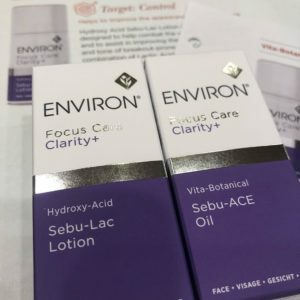 Scientifically formulated with vitamins and botanicals, this lightly textured non-oily oil helps to control the appearance of breakouts by providing your skin with a daily dose of essential vitamins and will be used with equal parts of the Focus Care™ Clarity+ Hydroxy Acid Sebu-Lac Lotion, This non-oily lotion is formulated to combat the signs of breakouts and to assist in improving the texture and tone of breakout-prone skin. Containing a special combination of Lactic Acid exfoliators and moisturisers, it leaves skin feeling softer, smoother and more balanced. Repair Moisturiser- Step 1 in our Treatment Moisturiser range. Designed to repair the skin’s barrier function and acid mantle, therefore creating a healthy epidermis. Contains Echcium Oil for its anti-flammatory properties, making it the perfect choice for eczema and psoriasis. Also contains Vitamin A for DNA cell repair and Vitamin E for general cell health. Strengthen Moisturiser- Step 2 in our Treatment Moisturiser range. Designed to take your skin to the next level. Contains Kiwi Seed Oil to boost the skin’s Omega 3 levels, along with Vitamin A for DNA cell repair and Vitamin C for collagen stimulation, strengthening of capillary network and pigment fading. 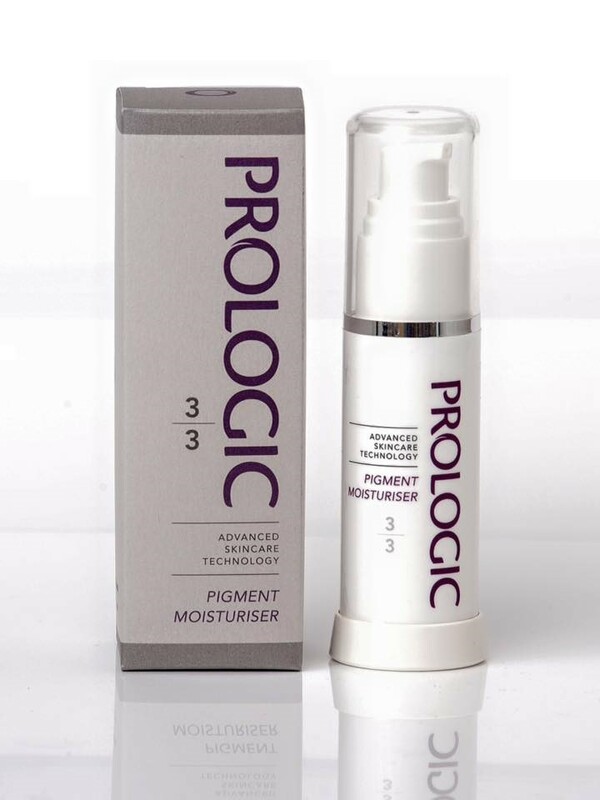 that is targeted purely for pigmentation- Pigment Moisturiser. Step 3 of 3 specialised pigmentation products. Contains Aloesin an effective Dopa and L-Dopa Phosphate Inhibitor, along with Magnesium Ascorbyl Phosphate, Licorice Extract and Vitamins A, C & E. Squalene also helps to strengthen barrier function. All 3 products must be used together to achieve optimal results with pigmented skin disorders. The “extras” tend to carry more active ingredients that set to work while you snooze. If vitamins, AHAs and other acids really work for you, you’re better off getting your dose at night, as certain ingredients such as these shouldn’t really be used on your skin while you’re exposing yourself to sunlight. What order should I apply my moisturiser? Serum before moisturiser? SPF before or after? It’s likely this process has stumped you more than once, especially when a new product is thrown in the mix. General rule of thumb is that you should always apply your skincare products in order of lightest to heaviest. Following cleansing and toning, this would mean serum and then moisturiser. 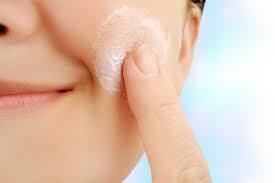 An SPF should be applied a few minutes after your moisturiser has properly sunk in. When should I apply my moisturiser? 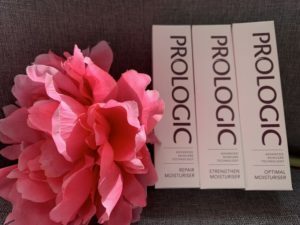 Most of us will religiously apply our moisturiser both morning and night however the time that this is done must be exercised with a little caution. This tip may just make all the difference to the way your skin absorbs the benefits of your moisturiser. Upon cleansing, moisturiser should be applied as soon as possible. Damp skin is best for applying moisturiser as it is a great way to lock in any additional hydration before it evaporates. If you use a toner, or treatment spray make sure you spritz your face whilst it is still wet, and then apply your moisturiser less than a minute following this. For these wanting to up their moisturising game, ensure the entire process happens in a hot, steamy bathroom immediately post shower. What is the best way to apply moisturiser to the face? All that time saved waiting for your face to dry can now be put to proper use as you begin the actual act of applying product to the face. The amount of product is important to ensure you’re not getting carried away. A small dollop is best to ensure you a) don’t waste product unnecessary and b) don’t clog the pores. Instead of pushing product outwards from the middle of your face (which can cause excess oil around the hairline), ensure you dab the product evenly across and blend it. Don’t rub the product too harshly into the face, but try and adopt a ‘dab and tap’ rhythm. Patting your face softly will stimulate the circulation, wake up the complexion and can work to flush out that any toxins that have built up in your lymph nodes. Finally, whatever you do, don’t forget your neck. The neck and décolletage area are two areas that are the first to show signs of ageing, and unfortunately, virtually impossible to repair once damage is done. Apply a dollop twice the size of that on your face and liberally spread across your neck, throat and chest using the same dab and pat method.